Visitors to Croatia are keenly aware that it is a country of great heritage, with significant lumps of past civilizations lying around in its major cities. Pula’s amphitheatre, Split’s Roman palace, Trogir’s cathedral and Dubrovnik’s walls are just four of the most obvious examples. What is perhaps less well known is the sheer multitude of archeological sites in the country, and the significant number of past cultures that have been discovered thanks to digs on Croatian soil. Sites such as Vela Spila in Korčula or Vučedol near Vukovar have greatly added to our knowledge of European prehistory; Vinkovci is considered to be one of the oldest continually-settled towns on the continent. What follows is a list of archeological destinations that are both significant places of discovery and also rewarding places to visit. No list is ever complete – very often one historical site will lead you on to the discovery of an equally interesting one somewhere else – but hopefully it will provide a spur to further exploration. The Zagorje market town of Krapina north of Zagreb has been closely associated with Neanderthals ever since Dragutin Gorjanović Krambeger first trowelled up their bones in 1899. 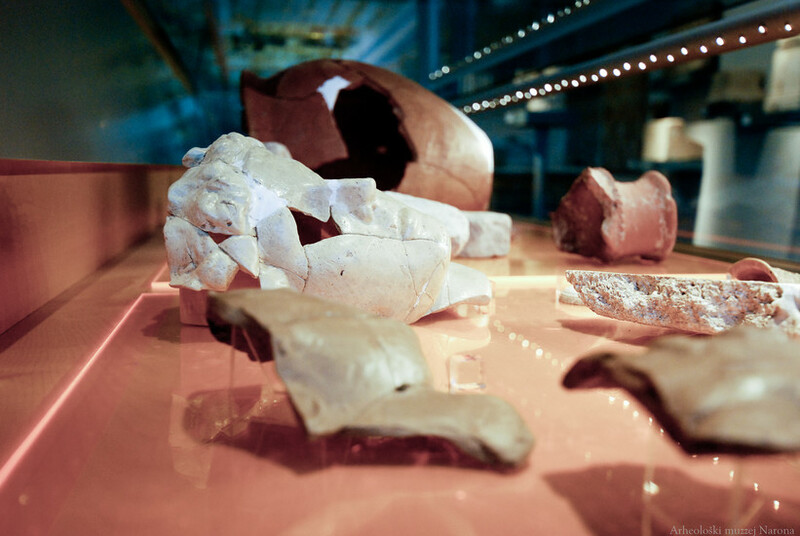 These original finds are so unique that they are permanently locked up in a secure vault in Zagreb, but this doesn’t mean that you should Krapina Neanderthal Museum a miss. 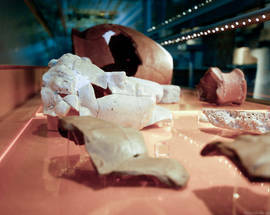 On the contrary, it’s arguably the finest scientific-historic day out that Croatia has to offer; a state-of-the-art museum that deploys film shows, multimedia displays and supremely lifelike Neanderthal waxworks to tell the story – not just of the Neanderthals themselves – but of human evolution in general. Although Neanderthals became extinct about 40,000 years ago, recent research has revealed that they lived alongside Homo sapiens for a long time and interbred with them too; which means that all of us probably still carry the odd thread of Neanderthal DNA. One of the most iconic objects in the Croatian cultural canon is the so-called Vučedol Dove, a 3000-year-old, three-legged ceramic vessel currently displayed at Zagreb’s Archeological Museum. The Dove was unearthed at the riverside locality of Vučedol, just downstream from Vukovar, a major centre of Eneolithic archeological discovery that has given its name to the Vučedol Culture – a copper-smelting civilization that stretched from the Adriatic to the Pannonian Plain. This summer will finally see the long-awaited opening of the Museum of Vučedol Culture (www.turizamvukovar.hr), which will attempt to bring these European ancestors to life with recreations of their dwellings, audiovisual displays and a wealth of artefacts. So near to Zagreb and yet so frequently overlooked, the Andautonija Archeological Park (www.andautonia.com) displays the excavated remains of a Roman-era town in the middle of the village of Ščitarjevo, 20km southeast of the capital. Although lacking in the drama of amphitheatres or well-preserved temples, everything else you would expect from a Roman town is here, including remnants of shopping streets, bathhouse complexes and scraps of mosaic. 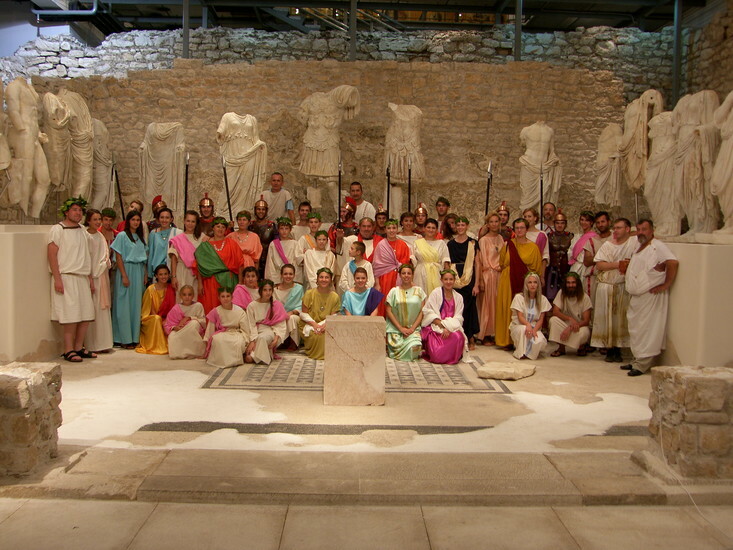 The Archeological Museum in Zagreb organizes a string of summer events at the park which are aimed at families and children, with displays of ancient crafts, a change to sample Roman-era recipes, and a lot of dressing up in togas. 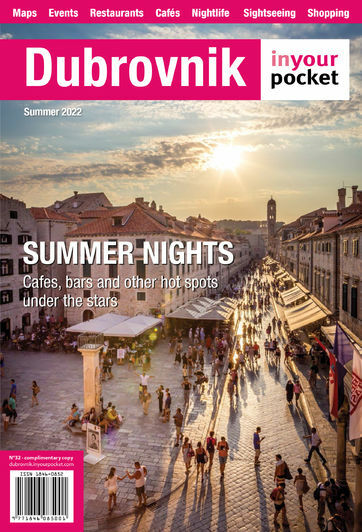 The eastern Croatian town of Vinkovci has been claimed to be the oldest continuously inhabited town in Europe, although similar things have been said about Plovdiv in Bulgaria, so it’s always worth treating these headline-grabbing statements with a pinch of salt. What’s known is that it played host to a distinctive Neolithic group belonging to the so-called Starčevo Culture from at least before 6000BC. The inhabitants lived in metre-deep dug-outs covered with awnings, and heated themselves with ceramic ovens. You can see the evidence in Vinkovci Museum, which includes a recreation of one of the dwellings. Just outside Vinkovci in the village of Sopot, a dig investigating a quite separate hut-dwelling culture dating back to around 5000BC is now the location of the Sopot Archeological Park, where a handful of dwellings has been reconstructed. Occupying a ridge overlooking the fertile fields of the Ravni kotari, Asseria was inhabited from bronze age times, becoming an important administrative and trading centre under the Liburnians and the Romans before being abandoned some time during the Avar and Slav migrations. It’s a compelling site, surrounded by extensive defensive walls, with a ruined medieval church occupying what used to be the forum. Located near Podgrađe, 5km from Benkovac, Asseria is earmarked for future tourist development, with the construction of a visitors’ centre and a ‘dormitorium’ inspired by Roman-era residential quarters. A lot of artefacts uncovered in Asseria are on display in the Zadar Archeological Museum (amzd.hr), particularly the pine-cone shaped gravestones known as cippi, a form typical of the area inhabited by the LIburnians. 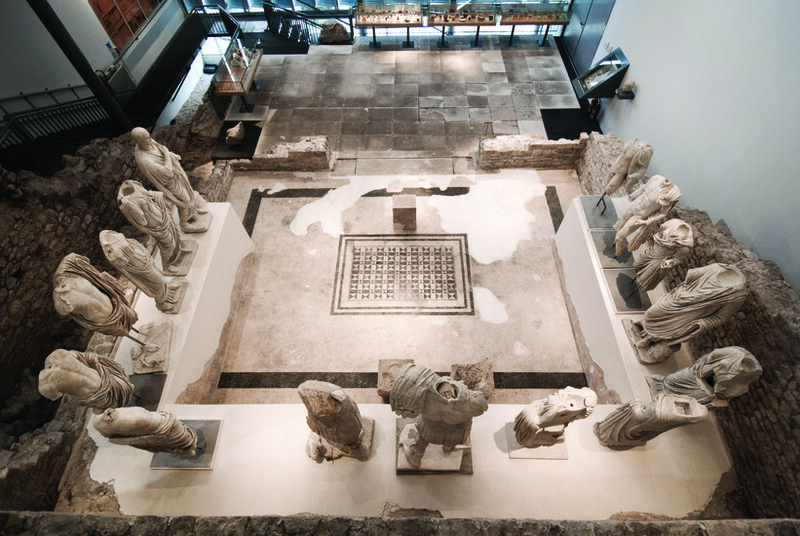 The first floor of the Archeological Museum, newly reopened after extensive renovation, is the place to learn more about Roman-era northern Dalmatia. North of Šibenik, just outside western boundary of the Krka National Park, the road from Kistanje to Knin passes the site of Burnum (www.npkrka.hr/stranice/burnum-amphitheatre-and-archaeological-collection-burnum/21/en.html), the 1st-century Roman military camp that is thought to have accommodated two entire legions. What’s left of the site is dramatic indeed, its pale stones emerging from the arid, maquis-covered karst. On the western side of the road lie the remains of an amphitheatre, while further up to the east are the remaining two arches of the former military command post. Many of the finds from Burnum, together with an attractive interpretative display, can be admired at Puljane, a National Park-operated visitors’ centre located on a plateau high above the Krka gorge. Arguably the grandest of Croatia’s ancient cities is Salona, former capital of Roman dalmatia and reckoned to be the fourth largest city in the empire at its height, and now poking up unassumingly from the fields that stretch west of Solin, just inland from Split. 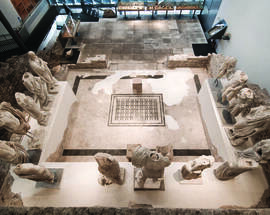 Salona has been intensively excavated at several times over the last 125 years, most notably by Don Frane Bulić (1846-1934), the doyen of Croatian archeology who is buried in a Late Roman-style sarcophagus at the entrance to the site. However 90% of Salona remains untouched by archeologists, hidden beneath privately-owned vegetable plots and olive groves. It’s still a pretty amazing place, however, with the remains of a 17,000-seater amphitheatre, plenty of exposed city walls and gates, and one of the biggest collections of early-Christian basilicas ever excavated. Standing near the centre of the site is the Tusculum, a house built by Bulić to serve as a base for excavations and a venue for lavish dinners based on Roman feasts – Bulić himself turned up in a toga. Most of the things unearthed at Salona are on display at the Split Archeological Museum (www.mdc.hr/split-arheoloski/hr/index.html), whose outdoor lapidarium contains one of the best collections of stone-carved sarcophagi anywhere in Europe. Riding a bike across the fertile plain between Stari Grad and Jelsa on the island of Hvar you might be forgiven for thinking that the local vineyards, olive plantations and dry-stone walls represent a typical Adriatic landscape of great beauty but not necessarily any great significance. In fact the pattern of field divisions - and many of the stones that make up the partitions - date back to the fourth century BC, when Stari Grad was colonized by Greeks from Vis. Known in Greek as the Hora, this intensively farmed plain has changed little in the intervening centuries, and was placed on the UNESCO World Heritage list in 2008 in recognition of its historical importance. Remains of a Greek tower have been found on Maslinovik hill, and the remnants of Roman-era country villas are scattered across the plain. You might not spot any of these as you pass, but the timeless landscape of agricultural toil is enough to give you a strong impression of Mediterranean culture and its centuries-long continuity. Surrounded by the reeds and waterways of the Neretva Delta, the Narona Archeological Museum (www.a-m-narona.hr) just west of Metković is an outstanding example of how to display a historically significant archeological site while at the same time making it an entertaining place to bring the family. Key to its success is the building, a grey shell built right on top of an excavations sit that can be viewed through a glass floor. Metal stairways lead to upper levels of the museum where display cases contain coins and ceramics, and eventually lead out onto the museum’s roof, which offers excellent views of the surrounding landscape. 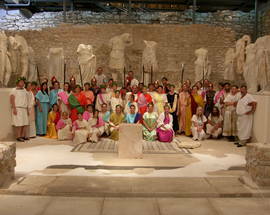 Narona was an important trading post on the Roman road from Dalmatia into the Balkan interior. A temple complex thought to have honoured the Emperor Augustus is very much the museum’s centerpiece: Augustus and his household are represented by a group of fourteen statues, although all of them are now headless making identification somewhat difficult. One of the missing heads, thought to represent Augustus’s wife Livia, was purchased from locals by British archeologist Arthur Evans in the 1870s, and can currently be seen in the Ashmolean Museum in Oxford.